Looks like we may still have to wait several years for a Nissan 370Z successor. We’ve said it many times before, but the ageing Nissan 370Z is long overdue a replacement. And yet Nissan continues to neglect its current Z sports car with minor updates, as we saw with the recently revealed new 2018 model. According to former Nissan Australia managing director Richard Emery in an interview with Motoring, we may still have to wait several years for a Nissan 370Z successor. Remember the rumors about a Nissan 390Z concept being be revealed at this year’s Tokyo Motor Show? Emery knows nothing about it. “Even we don’t know,” he told Motoring when asked about the rumored 390Z concept bound for Tokyo. “And we would know if there was something pending, so there’s nothing pending. 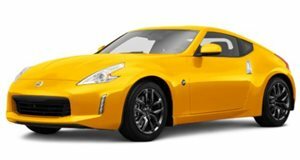 Not any time soon.” Originally, rumors suggested that the 390Z would preview the next Nissan Z sports coupe due to start production in 2019 which would neatly coincide with the Z car’s 50th anniversary. But this is now looking unlikely. Emery argues that sports cars have a longer life cycle than regular cars, which explains why Nissan isn’t in a hurry to replace the sports coupe. “Look, it is eight years old but sports cars do tend to have long life cycles,” he said. “It’s certainly at the end of its life cycle, but whether it’s got two years left or four years left, at this point I don’t have anything to the contrary to suggest it’s not got a few more years left in it.” The subtle revisions applied to the new 2018 370Z are unlikely to make you rush to the nearest Nissan dealer and put down a deposit. Among the minor updates include a new Red Metallic finish, 19-inch wheels as standard, and black accents adorning the body that were previously only available on range-topping Nismo models. Power is once again provided by a 3.7-liter V6 developing 323 horsepower. The most significant update is the inclusion of an Exedy performance clutch for manual models. Nissan seems to have a similar attitude with the GT-R - the current generation model was introduced a decade ago but its replacement may not arrive until 2020, possibly as a hybrid. Sadly, Nissan’s reluctance to build a new Z sports car makes it more likely that the 370Z’s replacement will be a crossover inspired by the 2015 Gripz concept. No, we couldn’t think of a less appropriate car to celebrate the Nissan Z car’s 50th anniversary with either.